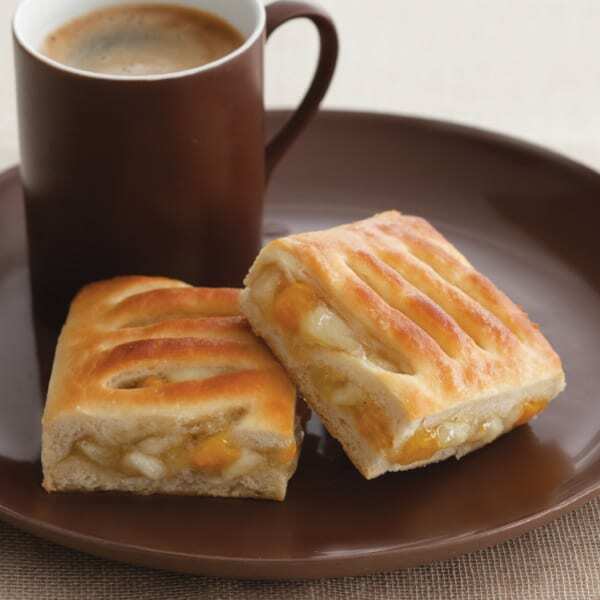 Sara Lee Tray Apricot Danish is a delightful, contemporary alternative to the traditional apple dessert. 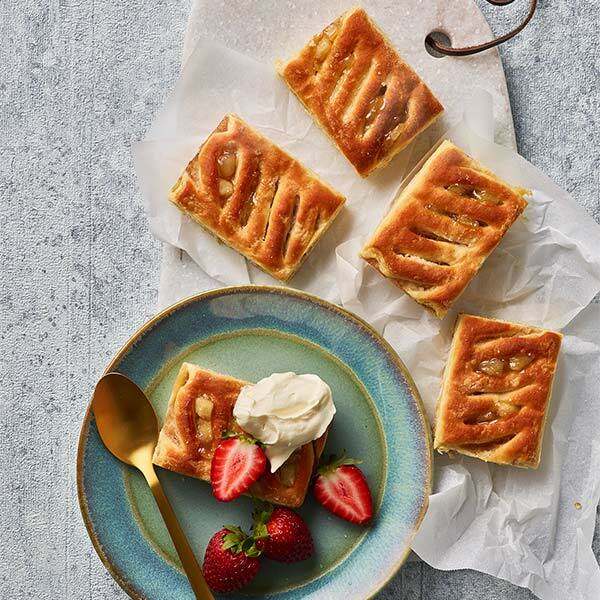 Made with flavoursome real apricots, this dessert consistently pleases! 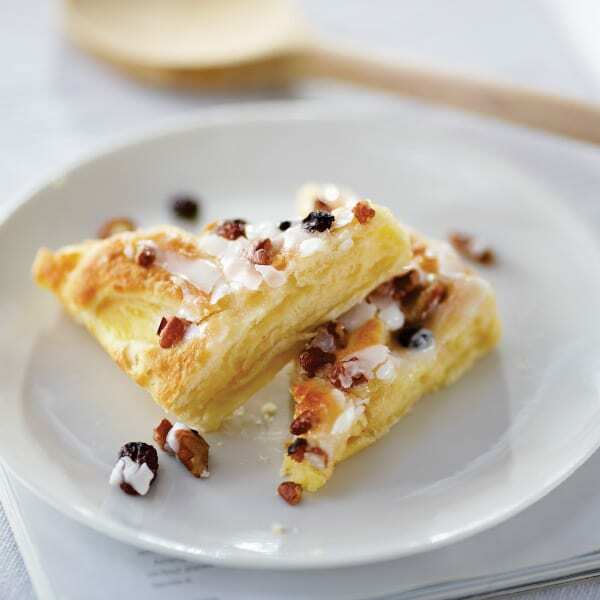 Warm through and serve Sara Lee Tray Apricot Danish to the table as is or with a simple garnish. 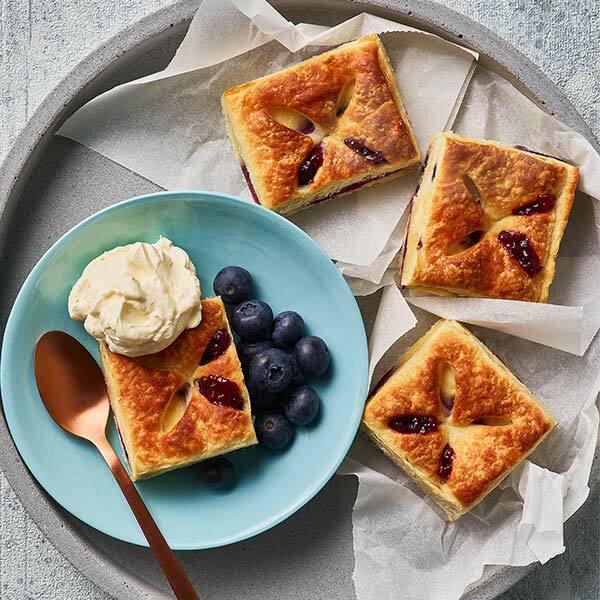 Return any unused frozen portions to the freezer immediately. Apricots (32%), wheat flour (thiamine), sugar, butter (milk), egg, thickener (1412), margarine (vegetable oil), yeast, vegetable gums (415, 414), salt, emulsifiers (vegetable - 471 soy, 475), glucose syrup, raising agents (450, sodium bicarbonate), gelatine, citric acid.